Does Your Home Have Proper Attic Ventilation? Effective attic ventilation, whether the attic has been transformed into a living space or not, ensures that the structure of the roof is kept dry and greatly reduces the risk of damage. Therefore, it is safe to say that ventilation maintains the good condition of the roof, by preventing condensation vapors. In fact, the roofing companies Bentonville homeowners call on will tell you the importance of proper roof ventilation. Adequate attic ventilation depends on some factors correlated with air draft and wind pressure. Poor ventilation leads to negative results, reflected in higher energy bills and costly roof damage. The amount of moisture accumulated in the roof structure reduces the efficiency of the insulating material, allows the development of bacteria, as well as mold formation. Some insects also prefer humid environments and they may damage the wooden structure. Humidity is caused not only by condensation, but also by rain and vapors coming from the living space. It is not possible to protect the roof structure 100%, even when a vapor barrier is installed, but proper ventilation is a priority to keep the roof structure as dry and healthy as possible. 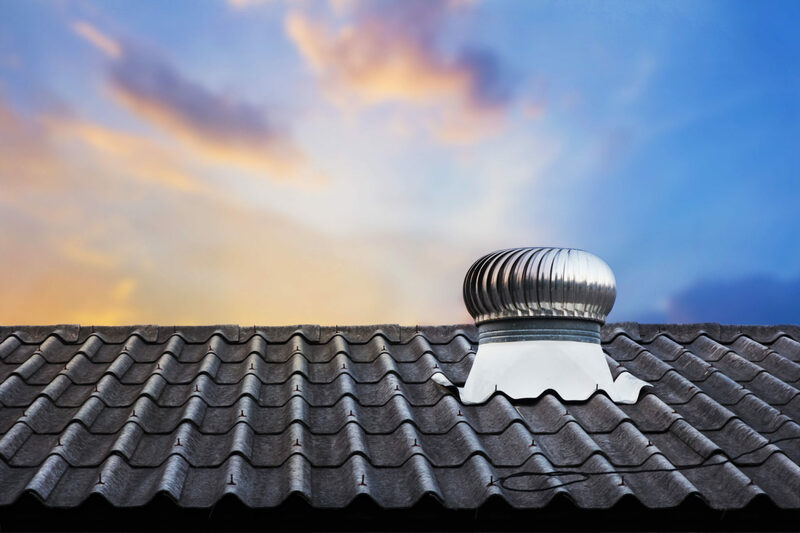 Choosing the right ventilation solution is essential to achieving the performance goals set in a project, whether we are talking about renovating or installing a new roof, so make sure to hire expert roofers and respect their advice. This entry was posted	on Monday, April 16th, 2018 at 11:34 am	and is filed under Roofing. You can follow any responses to this entry through the RSS 2.0 feed. Both comments and pings are currently closed.